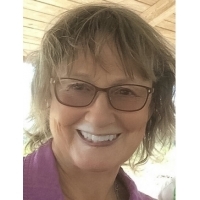 Sandi Pray is a retired high school library media specialist living a quiet life in the wilds of the North Carolina mountains and forest marshes of North Florida. As a vegan she is a protector of life and the rhythms of nature. Credits: "star watching" - Frogpond 38:2 (Summer 2015); "sacred ground" - Cattails (September 2015); "at the wrong end" - Modern Haiku 46:3 (Autumn 2015); "pet scan" - Frogpond 38:3 (Fall 2015); "cicada shell" - Acorn 35 (Fall 2015); "quiet moments" - A Hundred Gourds 3:1 (Winter 2013).